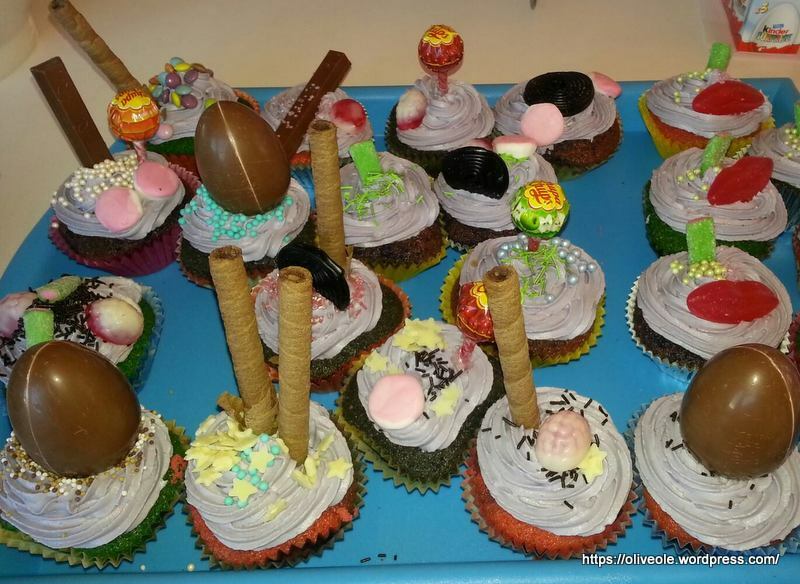 Birthday cupcakes recipe – Travel Much? I have been hounded for my birthday-cupcake recipe ever since I displayed a picture of them in How I lost Sir Nerdalot. Old Mamasan is not too old to succumb to peer pressure, therefore you can find the recipe below. Just A Piece of Advice: If you’re making these for small children, then use the small muffin papers. Small children do have a tendency to pick off all the candy and eat that first, then the frosting, and quite often they leave the sponge. I guess it is the way little children roll. Attack the cupcake from the bottom – and you end up with frosting in your eye. Attack the cupcake from the top – and the frosting will go up your nose. Give up and go get a friggin spoon! You can use food coloring in both the batter and the frosting. You can put stuff in the batter, try other flavors then what I used in this recipe. Or you can fill them after baking with whatever rocks your taste buds the most. The only limitation here is your own imagination. Different colored sponges, lavender colored frosting. Decorate with whatever floats yer boat. If you need to convert the measurements into whatever you are used to, then you can do that for free on this calculator. 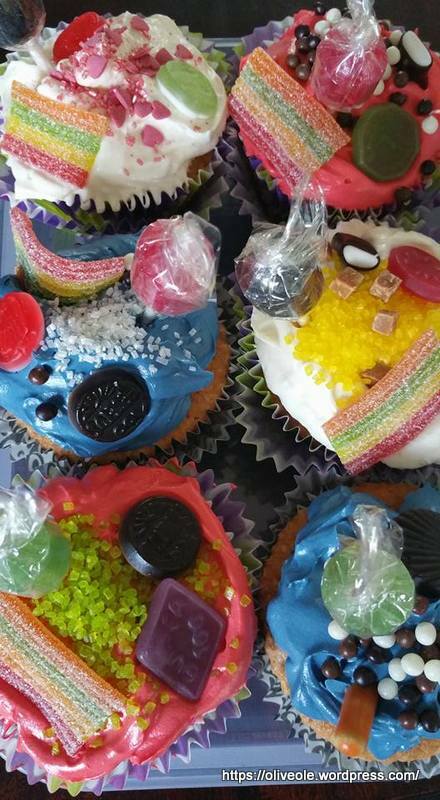 Superfun and yummy cupcakes for your birthday. Cream butter and sugar till light and fluffy, beat in eggs one at a time. Add flour (mixed with baking powder), alternating with orange juice, stir in vanilla. (If you want chocolate cupcakes, add 4 tablespoons cocoa powder in the mix. Reduce the flour content accordingly) Fill muffin-papers 2/3 full, and bake for about 20 minutes at 170° C. A little longer if you use the big muffin-papers. Makes 6-8 big cupcakes or 10-15 small ones. Cream butter and powdered sugar till light and fluffy. Add cream cheese, lemon juice and vanilla sugar and beat thoroughly with an electric mixer. Thanks for the tip! I will try that formatting thing.